When did I reach the age that when someone talks about their "ex," I'm not sure if they mean "boyfriend/girlfriend" or "husband/wife?" Seriously. 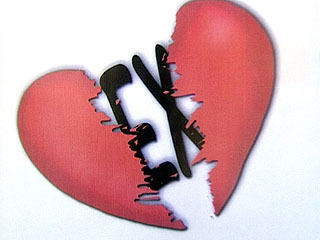 It's hard enough for me to say EX, I don't use it. Its a rough term. I prefer to say, if asked... I definately don't volunteer that information... that we "used to date." But for real, when did we get to that point. And it isn't even our age... cause people 5 years younger than us are divorced. When did this become a "thing." Insert huge sigh here.